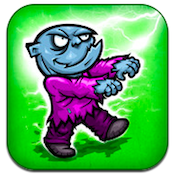 Charge the Zombie is an iPhone game developed byPavel Tarabrinof Synaptic Wave. Your goal: destroy hordes of rampaging zombies that wanna eat you up! You could be forgiven for thinking that the gameplay in Charge the Zombie would be all about charging into a horde of the undead, but the opposite is actually the case. You stay holed up in your house, and use a lightning rod that’s up on your roof to fry the zombs into a crispy, gooey mess. Controls are tap-based. 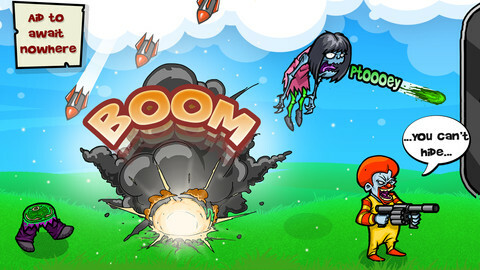 A quick tap can send a quick, stunning blast of electricity to the enemy, while holding down on the zombie allows for a longer energy burst that will kill ’em, instead of just knocking them out. You’ll need to strategize the best way to take out the horde, but expect to use both taps and longer blasts to take them all out. As the game progresses, you will unlock additional weapons. 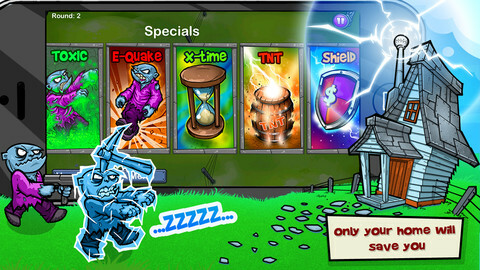 Beyond your lightning strikes, you can also summon earthquakes, land mines, and freezing powers. That’s good news, because the zombies get better equipped as the game goes on, too. 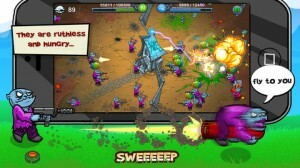 The overall sound design in Charge the Zombie is good. The background music is inoffensive enough, but what really works are the sound effects for the weapons and the zombies. They make a really satisfying plop when they burst open! 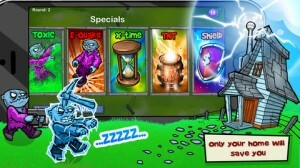 If you’ve ever spent a summer evening watching bugs get zapped by the zapper on your front porch, then you’ll love seeing the zombies in this iPhone game get zapped, too. 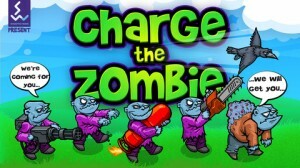 Charge the Zombie is a great time waster with solid controls, fun graphics, and tons of power ups to keep things fresh. Charge the Zombieis compatible with iPhone, iPod touch, and iPad. Requires iOS 5.0 or later. This app is optimized for iPhone 5.